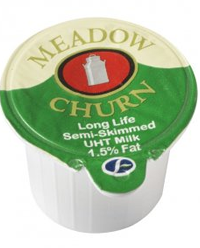 Meadow Churn Semi Full Fat Pots are UHT semi skimmed milk jiggers in easy one cup portions. UHT Portions 150 x 13.5ml, no need to keep refrigerated. 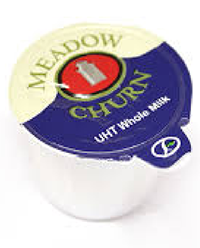 Meadow Churn Semi Skimmed Milk Pots are UHT semi skimmed milk jiggers in easy one cup portions. UHT Portions 150 x 13.5ml, no need to keep refrigerated. 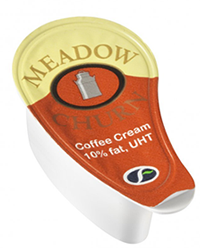 Meadow Churn Coffee Cream Pots. UHT Portions 120 x 14ml, no need to keep refrigerated.